The Queen and The Duchess of Cornwall attended a demonstration by the Medical Detection Dogs charity at The Royal Mews, Buckingham Palace, for the charity's 10th anniversary. 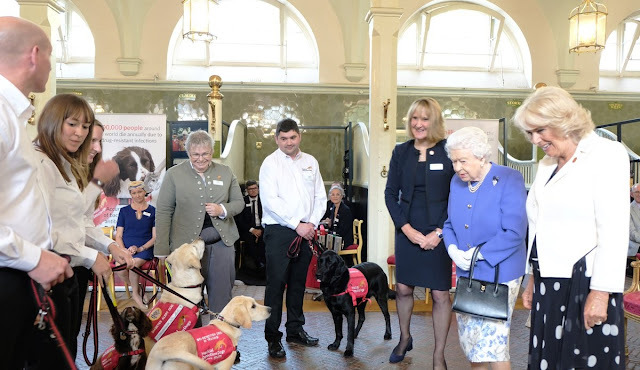 The Duchess of Cornwall is their Patron. These two always make a jolly pair, especially when they get to hang out with some Very Good Dogs. Her Maj brought back one of her cuter brooches, the Sapphire and Diamond Grapes from The Queen Mother's collection, which we haven't seen since 2014. 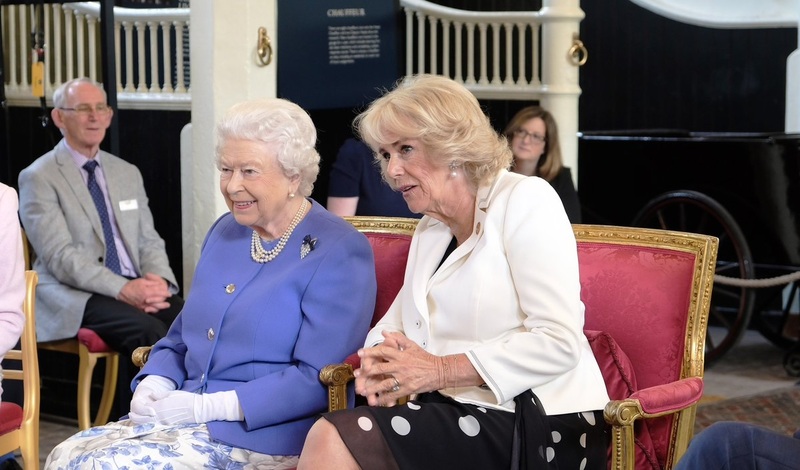 The Duchess of Cornwall wore her Everyday Pearl Pendant Earrings.